Every transaction has three elements, namely, Commercial, Financial and Legal. Transactions and organizational actions taken and plans made can trigger applicability of various compliances. One of the effects of demonetisation has been the increasing transparency that organizations need to adhere to when it comes not just to transactions, but also to processes. These processes could include ERP systems and adoption of various other technology-driven tools in keeping with the Digital India drive. Demonetisation along with the Companies Act 2013 has spurred consultants, accountants and organizations to start looking at compliance across the various applicable Acts with a keener eye. Historically, most SMEs have had limited knowledge and awareness of Compliances that impact them and often delegated this responsibility to junior management or outsourced it to consultants. Compliance has been synonymous with tax filing and SMEs are not really aware that there are 275 plus Acts that could impact them. Further, manual processes have been followed by them and their consultants with limited information available on applicability of compliances, thereby making them error prone and leading to non-compliance in several instances. SMEs and their consultants have used tools only for filing tax returns as this is mandated by the tax authorities. The approach to using consultants has also been piecemeal with very rarely a single firm being capable of advising a client across all Acts. Technology adoption by consultants has been next to negligible. To give us a sense on how Compliances play out, we can categorize them into four areas. These include Ongoing (63%), Event based (27%), Due date based (5%), One time (5%). In this instance, I am taking an example of Labour laws to determine the %age contribution of each category to give us an idea of their importance. Every transaction has three elements, namely, Commercial, Financial and Legal. Transactions and organizational actions taken and plans made can trigger applicability of various compliances. It is practically difficult to remember all such events and their impact on various applicable statutes. Criticality of such event-based compliances can be understood from the fact that such compliances constitute around 27% of our commonly applicable compliances. This is a high risk area as most businesses have low awareness of event-based compliance. In light of the above, my recent discussion with Befikr, a startup in the home services space was an eye opener. Like most SMEs they are impacted by a large number of compliances covering Labour laws, ROC, FDI, Trademark, IT and many more. In order to build customer trust and maintain transparency within the organisation they decided to invest in technology for maintaining compliances right from the start. As stated by Sunny Trehan, cofounder & CFO, their focus was to ensure better controls, mitigate risks given that they are blue collar intensive organization and build trust with their customers and employees. While they use consultants for some of their compliance work, most of the work has been moved in-house given the criticality of the same. 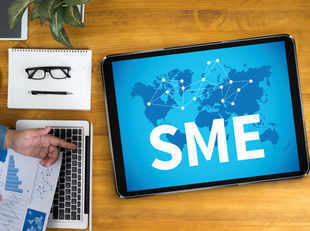 In general, there is a fair degree of uncertainty among SMEs about the compliances that are applicable for their business which could make it a costly affair should there be non-compliance detected. At a recent meeting with an industry association we gathered that their members had invested practically no tool or technology to track and manage their compliances making them prone to the costs and risks associated with non-compliance. Going forward, there is an opportunity to start using artificial intelligence tools for monitoring and reporting on compliance, analysing trends within industries, assessing the risks across businesses and building a seamless system within organizations. The writer is the founder of T-Ventures. He advises high growth technology enabled entrepreneurial ventures with their growth strategy and helps them scale their businesses.